PUMA and Diamond Supply Inc. team up once again to launch a collection of sneakers, apparel and accessories. When sneaker and skate fans thought 2016 was the last time they would see the Cat and Diamond together, they didn’t realise it was merely a tease for this milestone collaboration. The all-new PUMA x DIAMOND SUPPLY CO. collection reflects a shared passion for sport and is brought to life through simplicity of design and attention to detail. 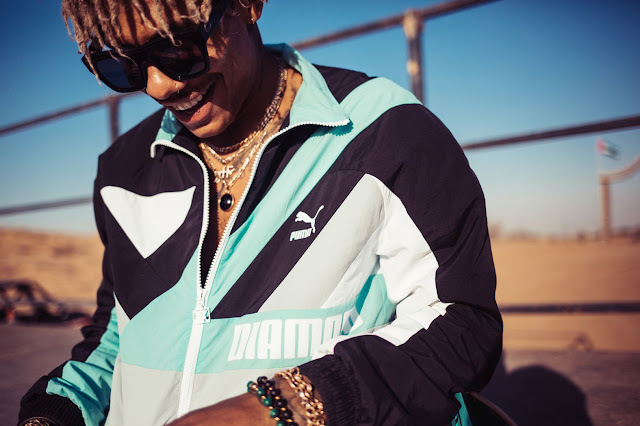 In their debut collaboration with PUMA, Diamond Supply Co. brings their unique aesthetic and skateboarding credibility to PUMA streetwear, with unique designs and those signature Diamond colours. The collection is set to release in two distinguished drops with the first launching in late January. 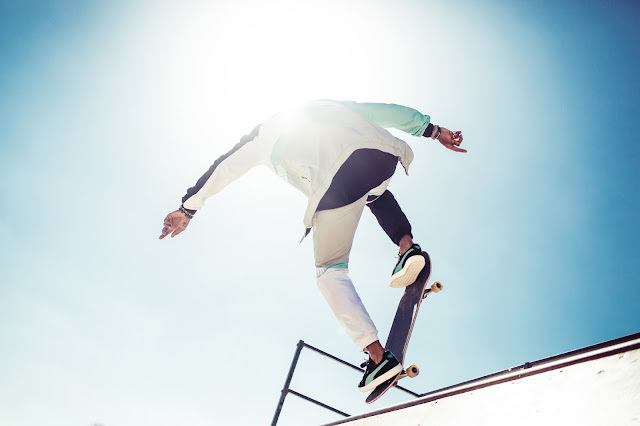 Drawing inspiration from archive skate, the first drop was developed by the designers as though they collaborated back in the 70s and 80s. 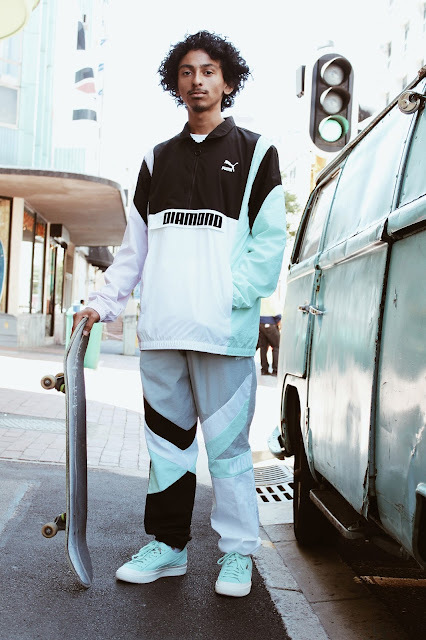 Using the PUMA Archive, the collaboration boasts authentic materials, textures, colours and over-all designs - even bringing back a refreshed take on the iconic Archive PUMA Teamsport global graphic on key apparel pieces. Hero styles of the first drop include iconic court classics, the PUMA Suede and Clyde, remixed with Diamond Supply Co.’s iconic DNA and colours. The archive sneakers are complimented with apparel and accessories including the bold colour-blocked Wind Jacket and Tees with graphics from the PUMA archive. 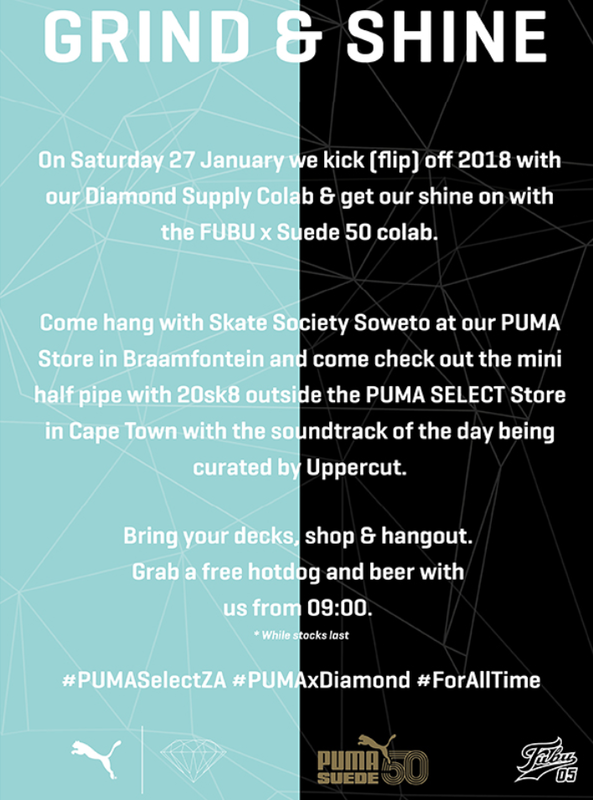 The PUMA x DIAMOND SUPPLY CO. collection’s first drop releases on 27th January and will be available at PUMA SELECT and selected retailers.